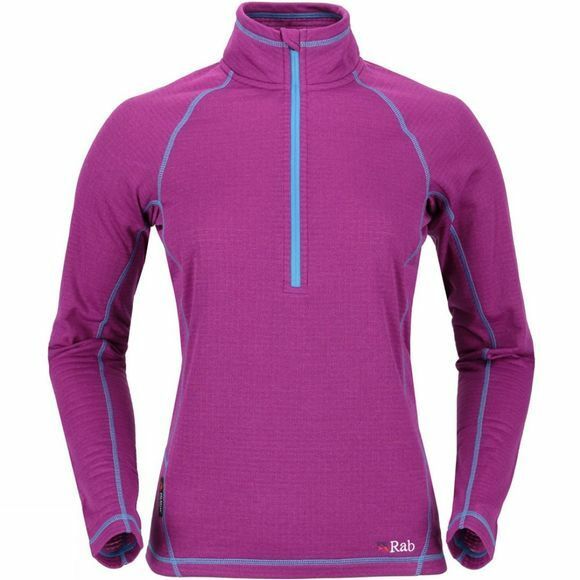 The Women's AL Pull-On is designed as a cold weather base layer or as a very light mid layer for high intensity activities. The Polartec PowerDry fabric offers quick drying, wicking performance as well as providing extra warmth in a lightweight package. The deep front zip allows venting and the high, stand up collar when zipped provides warmth and weather protection. The fabric is also treated with Polygiene - an antimicrobial technology that offers active odour control techology for fresh all-day confidence, even when working hard in the mountains.